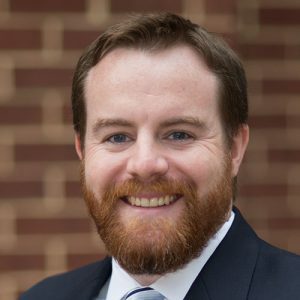 Ryan Brown joined NTP in March 2013 and serves as the VP of Sales. In this capacity, he oversees the strategic direction and execution of sales campaigns and the development of new sources of lead generation for his portfolio of industry-leading tradeshows. He leads a team of professionals focused on meeting and exceeding all sales goals as well as maintaining the integrity of each event and providing high quality customer service to its exhibitors and sponsors. Prior to joining NTP, Ryan spent 7 years working on the association side of the business with the Consumer Electronics Association and most recently the American Composites Manufacturers Association. At ACMA, Ryan served as the Sr. Manager of Exhibit Sales where he oversaw sales efforts that landed ACMA’s COMPOSITES show in Tradeshow Executive’s Fastest 50. Ryan has a proven track record of innovation and success in sales strategy, market research/lead generation, and campaign management. He has worked extensively to grow, evolve, and ultimately drive revenue for every event he’s had the opportunity to impact. Ryan has a B.A. in English from The University of Mary Washington. Ryan is an active member of the International Association of Exhibitions and Events (IAEE) and received his CEM Certification in 2012. In a former life (2008 – 2013), I was a high school lacrosse coach. Now I’m involved in coaching my local youth lacrosse club. What is your favorite way to kill time? In my spare time I’ve been known to build furniture in my makeshift workshop. My first car was a hand-me-down purple Honda Civic. Since then, I’ve had 4 Jeeps.